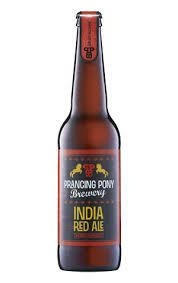 This herd of ponies know a thing or two about fire brewed beers with bold, big malt flavours and amazing hop aromas that tickle your senses. Head brewer, Frank Samson is forever on the hunt for the next brew sensation. He has had a long association with fire-brewing having brought this tradition with him from Germany and working closely with his team to ensure traditions and innovations in brewing are upheld and passed on. It takes time and patience to brew with fire as creating flavours can’t be rushed. It lets us think about the next brew and the one after so that each batch tastes as good as the one before. We believe method and raw ingredients matter. 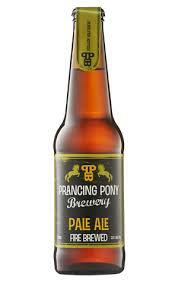 At the Prancing Pony we believe craft beer should have character. Beer made from traditional beer raw ingredients – malted grain, hop, yeast and water, and the brewers skill in applying fire to create special flavours from those basic ingredients. The traditional style of fire-brewing used for centuries and still until the late 1960th by smaller village breweries employed direct fire, rather than steam, to heat the mash and wort. In direct fired brewing, the vessel wall reaches high temperatures. This provokes enhanced caramelization producing a fuller malt flavour without adding heaviness to the beer. Mass produced beer is dominated by the “same same” lager style, produced in huge batches by highly industrialised and automated processes with a minimum of ingredients and maximum efficiency. This results in a uniform blandness, where lack of flavour is replaced by over-carbonation. We object to this. This is why we do small batch craft brewing, exclusively by fire brew method for that extra long malt flavour. This is why we use incredible amounts of late hopping for hop flavour and late, smooth and lingering bitterness without a sting. This is why we stubbornly refuse to filter our beer, to retain all those flavours we spent so much time in producing in the first place. This is why we bottle and keg condition, for additional flavour and to keep the beer alive for years of cellaring. The philosophy of our head brewer is to craft beers that have long flavours. Like a story from long gone by, you think it’s finished but it carries on. Like an intricate painting, the longer you look at it, the more you discover. Not just beer with flavour, but flavours that speak to you. It puts the beer into context, like a story puts you into a place and time. And not to get on our high-horse – because we’re not like that – we’d like to add that everything we do considers the local community and the environment. All our ingredients are sourced locally, where possible, and we choose to reduce, re-use and recycle wherever we can. Let’s just say, the donkey on our farm is truly grateful for all the spent grain when we’ve finished with it!